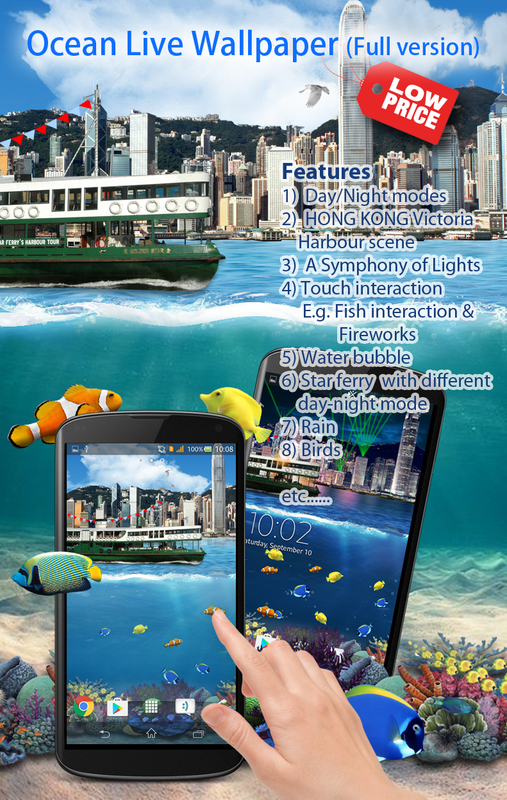 PhoneHK 討論區 - 至 HOT 手機 Apps 交流 - [Free][Android] Ocean Live Wallpaper - powered by Discuz! Do you enjoy the relaxing beauty of the ocean in summer? This live wallpaper is perfect for you. Enjoy the beautiful top and bottom of ocean at the same time. 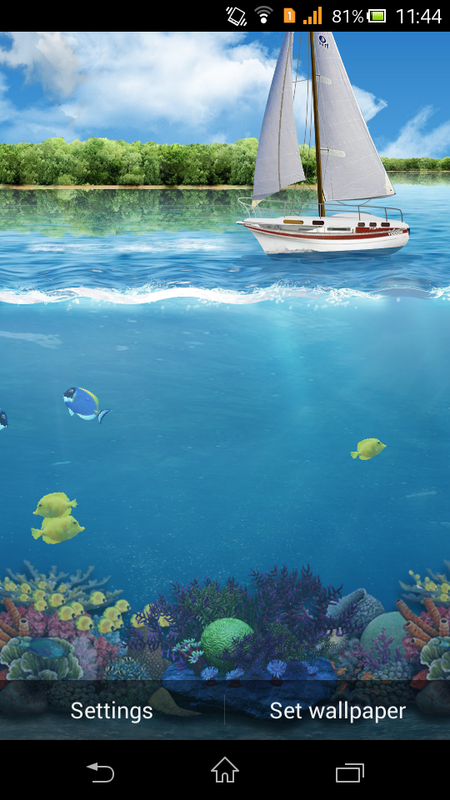 It includes animation of a moving cloud, boat, fishes. Additionally, you can customize the look of boats, the speed of movement and turn on/off objects, define start and end day for the day night scene. opportunity to use my live wallpaper. Thank you so much.